Varanasi - it's a city that appears to be existing since time immemorial. Mark Twain once remarked of it as being older than history, traditions and legends and of looking twice as old with all of them put together. It is however not just one of the oldest cities in the world it is reputed as one of the holiest cities in the world as well. Not surprisingly there are many Holy Places in Varanasi. 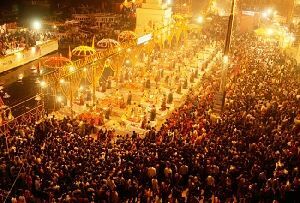 Varanasi is a place that is often and again referred to in Indian mythology. Its association with Lord Shiva is almost legendary. Famous as a Shaivite stronghold, it is nonetheless home not only to temples dedicated to Lord Shiva but also to some of the other Gods of the Hindu Pantheon. In fact mosques constitute some of the Holy Places in Varanasi too. The Arhai Kangra Masjid is one of the first mosques to have been built by the early Muslim rulers in India. An even more impressive mosque is the Alamgir Mosque. Though built much later, it is a fine example of Indian architecture. 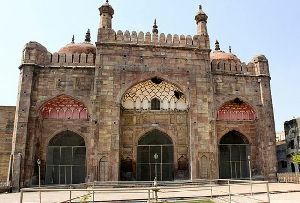 Influenced by both Hindu as well as Muslim architectural styles, this edifice is sure to be stared at with admiration. 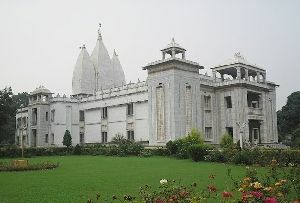 It is also the largest edifice to dot the bank of the River Ganges. 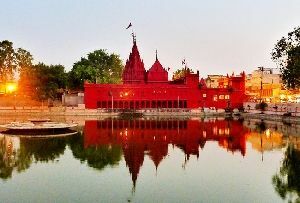 One of the most unique Holy Places in Varanasi, Uttar Pradesh is the Bharat Mata Mandir. Unlike most of the holy places it is not related to any religion and yet highly revered and respected by all Indians. 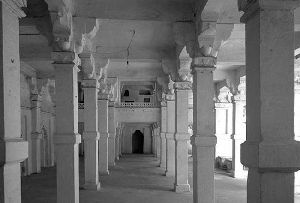 It is a very sacred spot frequented by individuals irrespective of their caste, creed and color. The presiding deity is no idol, only a relief map of the country carved in marble is kept here. It is a pointer to the high and lofty ideals of nationalism and secularism. Love for the nation and its people are of foremost importance, one should learn to do that religiously. And as for the temples, they enshrine some of the famous gods and goddesses of Hindu religion. They are visited by the devotees who offer their prayers and seek blessings. Usually crowded, these temples have a spiritual ambience and one is sure to feel a great sense of calm after a visit to them. Most famous of all these Holy Places in Varanasi is definitely the Vishwanath Temple. It is believed that paying homage to the Jyotirlinga housed in this temple is a soul cleansing experience that will wash off your sins. The Shikhara of the Durga temple is very admirable as are the engravings on the walls of the Tulsi Manas Temple. Visit all these Holy Places in Varanasi not only for their religious merits but also to witness the beauty of these structures. 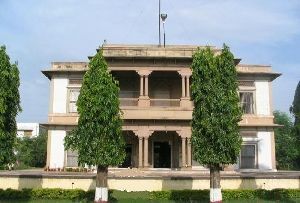 They are some of the best Tourist Attractions in Varanasi.